STAYTON — As the 2018 fall cross country season begins to round into shape, the St. Paul and Veritas squads got a sneak preview of the upcoming district championship after racing Thursday in the Stayton/Regis Invitational. 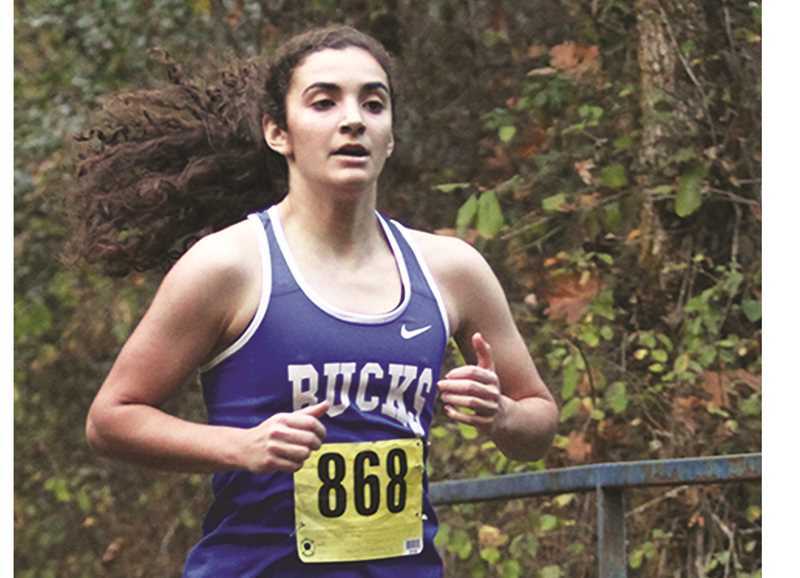 Seeking to make a return trip to the state championship race after a surprise berth last year, the St. Paul girls were led by a top-20 finish from senior Rachel Vela, who finished 17th with a time of 23:24.90 to lead the Bucks to a seventh-place finish (165 points) among the 10 full teams competing. It was a season-best time for the Bucks' top runner, who has cut more than 90 seconds from her 5K time at her first race of the season. Although she is still a ways off from the PR (22:33.70) she set at George Fox last year, Vela's effort was nearly 13 seconds better than her time at last year's Stayton/Regis Invitational and level with her time at the 2017 district meet. Fellow senior Taysha Veeman clocked in at 25:53.50 to place 40th, followed by junior Jackie Diaz at 27:12.10 in 47th and sophomore Mayra Lozano at 27:41.60 in 53rd. Rounding out the girls team was junior Abby Gonalez, who placed eighth in 31:49.80. Finishing three spots behind Vela in 20th place was Veritas senior Chloe Wassei, who posted a season's best time of 23:38.0, although the Vanguard did not record a team score. Also competing for Veritas were freshman Grace Wassei, who was 55th in 28:07.3, and Teresa Figueroa, who crossed in a PR time of 30:41.0. On the boys side, Vanguard standout Cam McChesney broke the 17:00 mark for the third time this season, finishing in 16:51.0 to place fourth. Thanks, in part, to a season's best performance by Will Lattus, who was 20th in 18:57.4, Veritas was 12th as a team with 264 points. Also scoring for the Vanguard were Eli Fitch in 100th (24:39.9), Caleb Vance in 105th (25:23.7) and Ransom Smith in 108th (25:42.4). St. Paul sophomore Broden Lear continues to push his name up the district rankings in leading the Buckaroos to a sixth-place finish in the 14-team field. 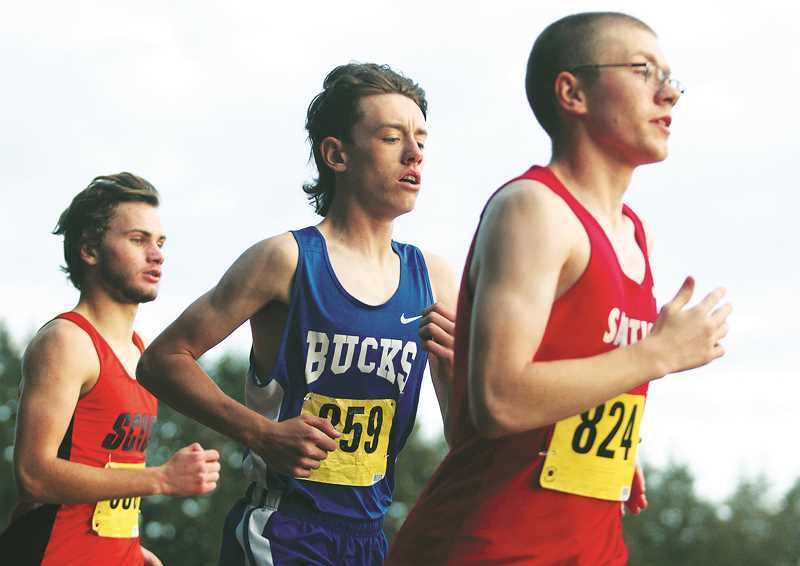 Lear was coming off a career-best time (17:56) at Jefferson Sept. 25 and nearly broke 18:00 for the second time, crossing in seventh place in 18:01.30. It was Lear's third consecutive finish in the top 10, all of which have been below the 18:02 mark. Of the competitors from 3A/2A/1A schools, Lear ranked third overall behind McChesney and Isaac Whitney of Oakridge (17:27.3). Junior teammate Gianni Grasso also enjoyed a stellar day, placing 33rd with a season-best time of 19:46.40, falling three seconds shy of the personal record he set last year at George Fox. Following behind were senior Wyatt Bean and sophomore Hayden Schindler, each of whom finished with season records for 2018. Bean placed 50th at 20:41.50, while Schindler was 52nd in 20:45.30. Rounding out the field for the boys was senior Turner Lear, who was 89th in 23:40.70, and junior Josh Hershberger, who set a personal-best time of 23:59.20 to place 90th. St. Paul travels south to the Chemawa Invitational on Thursday in Salem, while the Vanguard will run at the Champoeg Invitational hosted Friday by Newberg High School.